East Sale RAAF Base Pilot Training Facility | P. & D. RIGGING & CRANE HIRE PTY. 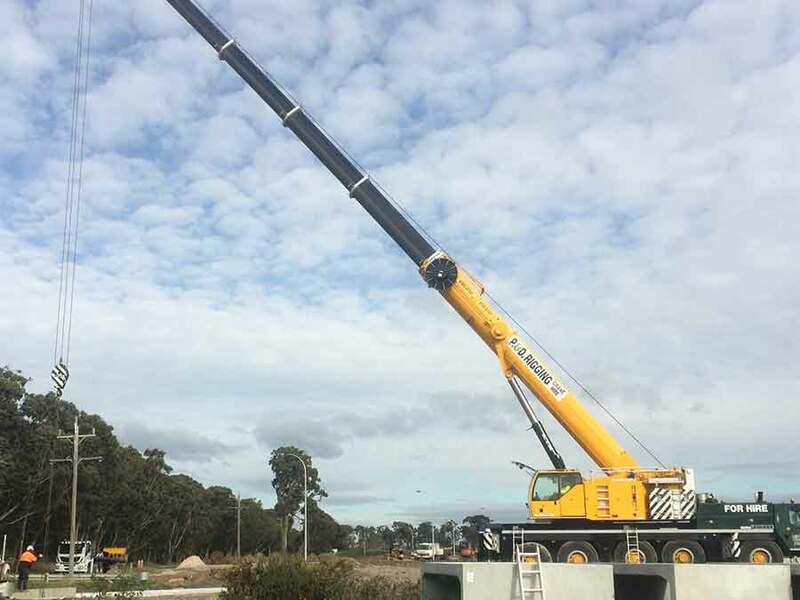 LTD.
P&D Rigging and Crane Hire have been an integral part on the construction of the new Pilot Training Facility at the East Sale RAAF Base. The project has been underway since October 2016 and P&D Rigging and Crane hire have supplied cranes from 30T up to 130T capacity to erect concrete panels, steel erection, installation of tanks, installation of lighting, installation of air conditioning units, erection of wall cladding plus various other general lifts for most contractors on the project. Through this time their have been no incidents relating to the use of our fleet of cranes and labour.